I wasn’t going to jump on the 2018 roundup malarkey for many reasons. I thoroughly enjoy reading them I just don’t think my year was particularly interesting if anything it was pretty crap. And I don’t want to bring down the New Year spirit we’ve all got going. 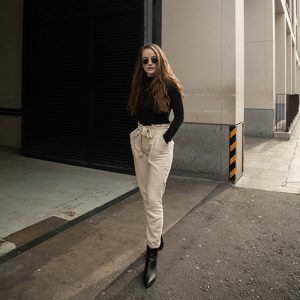 However I was reading the lovely blog Notes From Joana and she had a post on 18 good things in 2018. Which I thought was a really nice idea to just appreciate the good things, however big or small. So I thought I’d do my own little version of this to kick off 2019 on a positive note. Travelled to Portugal. 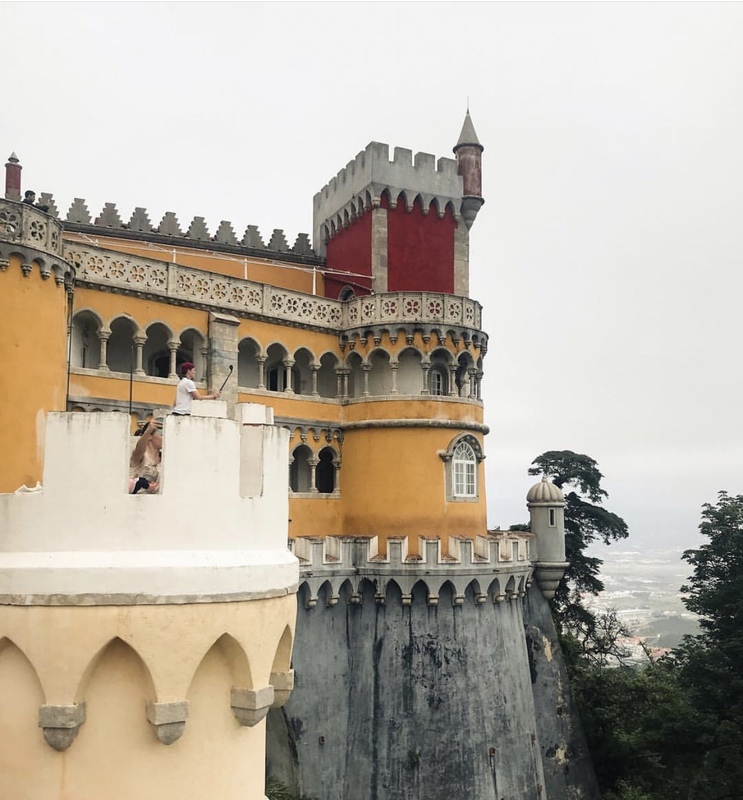 I love me a little bit of travelling and this summer I hopped on a plane with my boyfriend to Sintra, Portugal for a few days away. We just spent 5 days walking around, taking bike rides, drinking beers and exploring the beaches and towns. My favourite sort of travelling is where you still do everything you wanted to do. But there’s no rush and you still get to just sit around or walk about and enjoy the time away. Cooked more meals. Despite the fact that most meals I cook for myself are either super noodles or toast – I do actually quite enjoy cooking. And throughout the year I’ve made quite a few different meals for myself and my family. And I’ve gathered a nice little collection of recipes. It’s been a mix of everything at the moment, as my family are meat eaters however I’m veggie so I want to do more vegetarian meals for the whole family. Maybe even blog about them. Started saving for a house. I know, how adult of me. It’s pretty hard to get on the property ladder at my age so I wanted to be prepared and save more money. And also just have a solid savings account in case anything happens. Detoxing literally every aspect of my life. I had massive seasonal clearouts. Cut people off who were toxic to my happiness and life in general, drank the odd cup of green tea and took more time offline to enjoy other people’s or my own company and try some new things without worrying about social media or my inbox. Learning the ukulele. Speaking of things I do to get away from my phone. My family got me a ukulele for Christmas last year and it’s been great for chilling me out and keeping me occupied. I’m the sort of person who has to be learning something new at all times or has to always have a hobby so my little ukulele has been my best pal for that. Got creative on my blog. I think I’m slowly starting to find my element with blogging, and I’m branching out more with the photography and visual side of it. And it’s kept me motivated over the past year and excited for the year ahead, I’m loving it. Watched some good stuff. We all need to escape into a bit of Netflix every now and then. And it’s been a good year for binge watches. I re-watched my all time favourite, Gilmore Girls, to keep me feeling cosy in the winter. Black Mirror for those night in mind fucks. And alllll the documentaries I can cram in. Got a new diary & got organised. I am an organisation manic. I love to keep everything written down and on track. And when I found the Ponderlily planner I was so ready to get organised again, for my blog, my life, everything. Walked around more. I have old lady knees, so my old exercise regime of sprinting doesn’t work anymore. I’m also chronically ill. But throughout the year I did more walking, around the countryside, around Oxford city or just wherever I go. And it’s a great way to keep myself fit and energised. It’s also been a good form of mindfulness for me and let me adventure more. Started my photography journey. It’s still very new and uncertain but it’s super exciting and I’m ready to smash this in 2019. Caught up with old friends, and made new ones. You know those friends who you don’t speak to for ages but when you see eachother again it’s the same old same old. It’s been lovely to see old faces and catch up. I’ve also made some fab new friends which has made the year a lot easier and created some good memories to draw back to in 2018. Spent more time in my own company. I think it’s super important to spend time with yourself. As Jean-Paul Sartre said, “if you are alone and bored, you are in bad company”. Just heading to a museum or going on a walk by yourself can be so refreshing. Treated myself to some quality jewellery. I don’t make too much money from my blog. But in 2018, my blog gave me some extra pocket money so I got myself a Missoma necklace. Proper gold jewellery that doesn’t stain your skin green is something I’ve wanted to invest in more. So this is the start of hopefully a nice little collection. Worked with some fab brands. I finally started pitching to brands last year and it led to some great collabs and I’m always very grateful when someone wants to work with me. And to be able to say I worked with Boohoo and Pandora is insane. Took more time for self-care. It’s still a big process, but the end of 2018 I slowly started to spend more time to just care for my skin, body and self. And it’s helped me end the year in more of a zen place and I’m hoping to continue to improve my self care in the new year. Spent more time with family. I’m quite a family girl anyway, and I spend a lot of time surrounded by my family. And it’s helped me get myself back on track and look after my mental health. Maybe I’ve just been noticing it more the past year but it’s been a little highlight of mine in 2018. Took a few weekends away. I love weekends away, it’s enough to get a bit of a travel fix but won’t break the bank. And seeing more parts of the UK is always on my bucket list. In the summer I went to Brighton for my birthday and spent some time walking on the beach, my favourite place to be. And I also took my boyfriend to Salisbury for his birthday which was beautiful. Here’s to more little adventures. Looked after my mental health, no matter what people thought. Even when it meant leaving uni. It was such a horrible time for me, but so worth it as I’m feeling so much better in myself. Despite certain people thinking it was a bad idea it was definitely the right idea as my general health and mental health needed to come first. Along with all the times I had to cancel plans, or not go to work. It’s been one of the bigger focuses for me this past year and although I’m not 100% back on track I’m getting there. What are a few good things that happened in your 2018? Love this emily. 2018 sounds like it was a corker! Sounds like some great things happened in 2018 and best of luck for your photography venture – you’ll smash it I know, your shots are brilliant! I loved reading this, your 2018 was filled with all sorts of things! Also, learning the ukulele?!?! That’s pretty cool! !